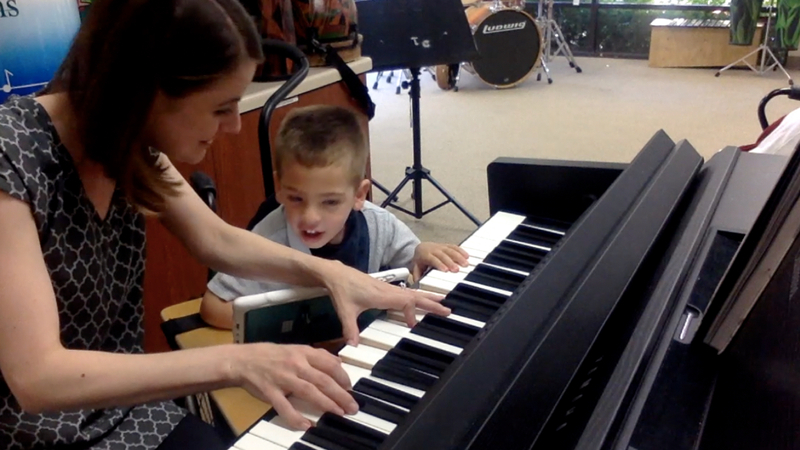 Music therapists at MusicWorx are trained to work with individuals diagnosed with developmental and neurodevelopmental challenges of all ages. Every individual is unique and possesses a wide spectrum of interests, strengths, challenges, and capacities. MusicWorx’s San Diego staff have certification in not only Neurologic Music Therapy, but also DIR®/Floortime™, an empowering, relationship-based framework informed by neuroscience. DIR®/FLOORTIME™ is used across one’s lifespan with individuals with challenges or those undiagnosed. MusicWorx is the only agency in San Diego trained to provide this humanistic and neurodevelopmental treatment approach! 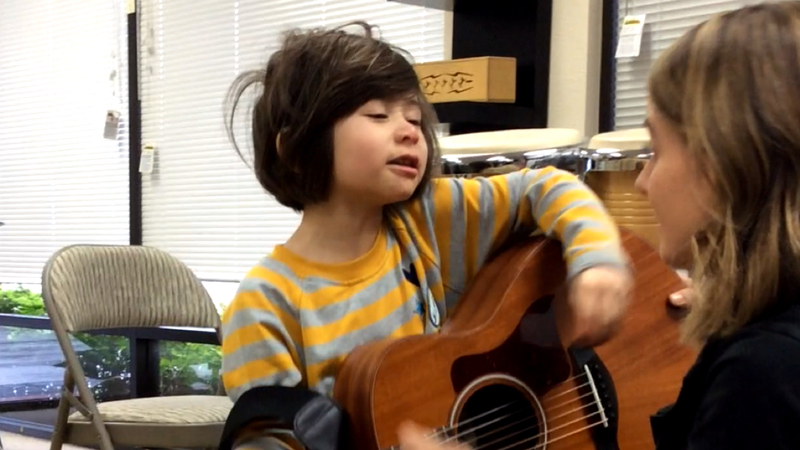 The music therapy experience emphasizes the interactive process rather than the performance. We use the following techniques to enhance these experiences. All clients receive an assessment and an individual treatment plan. Research-based therapy to meet the academic, sensorimotor, emotional, social, communication, and development needs of each individual. Creative and innovative approaches to learning how to play an instrument incorporating visuals, color-coding, and technology. A fun social experience for those interested in practicing, recording, and performing with peers in a band setting.